Many thanks to Chief Paul Keenan and the men and women of the Quincy Police Department. The Quincy PD participated in our recent Cops For Kids With Cancer No Shave November Competition. 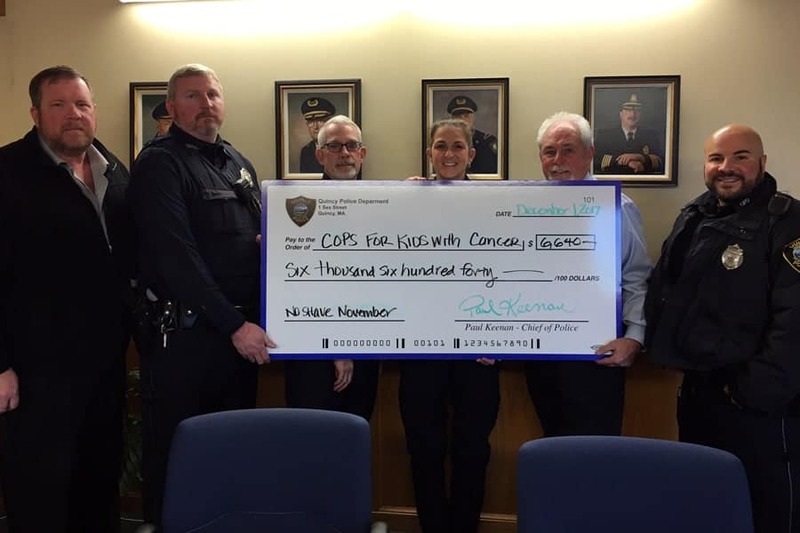 Thanks to their efforts and the support of their community, Quincy PD raised a total of $6,640 during the month of November. Way to go Quincy! !